Heading into 2018, we’ve seen total revolving consumer credit in the United States reach an all-time high, and there’s no reason to believe that trend will slow down in the new year. In fact, conditions are ripe for American consumers to continue expanding their purchasing power as the economy remains robust and confidence is high. At the same time, interest rates are on the rise, security remains a serious concern for individuals and businesses alike, and the level of competition for the consumer’s attention is as fierce as ever. With these conditions in mind, what trends can American consumers expect to see heading into the new year when it comes to credit cards? Because of the high demand for credit, combined with the healthy economy and high level of optimism going forward, issuers are more willing to approve credit card applications than they’ve been in decades. This will lead to a large number of cards being issued, but also to increased competition among lenders to make their cards stand out in some way so they can attract and keep customers without overreaching and falling victim to excessive risk. The federal interest rates have been incredibly slow to react to the burgeoning economy in the last several years, but recent rate hikes have served to make up some of that ground, and set a precedent for future adjustments as well. This puts card issuers and consumers in an interesting position. 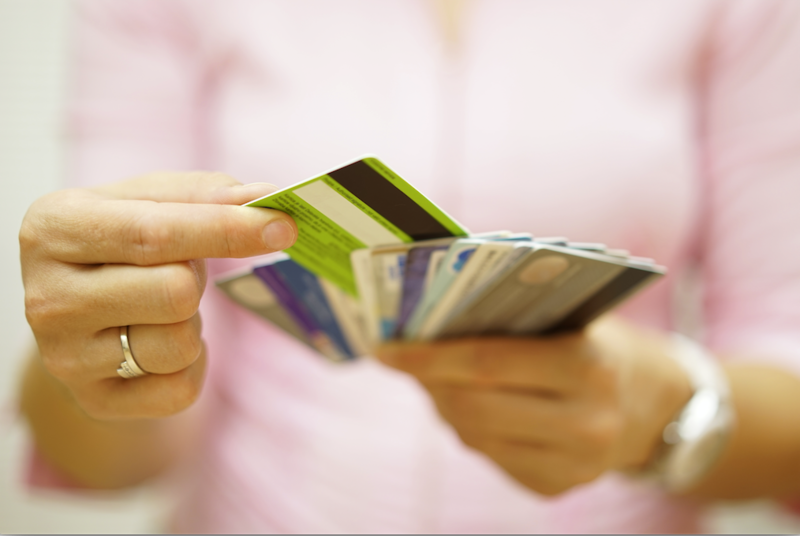 Normally, as interest rates rise, consumers tend to scale back on their spending and seek out less overall credit. That’s not going to happen at this point, though, because all other economic signs are pointing to continued rapid growth throughout the economy, and consumer spending is riding that wave. So, it actually means 2018 will be a potentially great year for credit card issuers who will be able to secure larger members and balances — at a higher interest rate (which means a higher profit margin) — than before. To compete successfully under these conditions, though, card issuers will need to pay close attention to what consumers want and accommodate them. One example of this accommodation involves co-branded credit cards, such as the relatively new Starbucks and Amazon Prime Visa cards. Issuers and retailers are working together to attract loyal customers with an established relationship and “sweeten the deal” by offering special perks, discounts, or exclusive offers if those customers open a co-branded credit card account. This is not a new trend by any means, but we’ll see it expand in many creative ways throughout 2018. Hand-in-hand with co-branded cards and retailer-specific loyalty programs, credit card issuers will continue to evolve their rewards and loyalty programs to give increasingly picky consumers what they want from their credit cards. Whereas the simplest cash back programs saw the biggest gains in 2017, many issuers are actively experimenting with unique rewards programs that we haven’t seen before, all in an effort to stand out in the crowd. One of the main reasons these new and unique rewards and loyalty programs are so important is because issuers in 2018 need to start adjusting their focus from obtaining new customers to keeping the best customers they have and expanding their share of each customer’s wallet. This change of focus will manifest itself in dramatic perks and rewards being offered to those with longer-standing accounts and more a robust history of smart credit use. The specter of data breaches, credit card fraud, and identity theft is bigger and scarier than ever after the long list of headlines we saw in 2017. Across the United States, issuers and retailers both have accelerated their move over to more secure “chip cards”, and that particular trend will continue into the new year. Beyond that, the entire credit community is going to be hyper-focused on diligently protecting consumer information, and — perhaps just as importantly — convincing wary consumers that proactive and adequate security measures are in place. From a marketing perspective, the issuers who are able to make the most convincing case for security may well win an otherwise very close race for dominance in 2018. This final trend really focuses on you — the consumer — rather than on the credit card issuers or retailers who want your money. To continue to benefit from all the opportunities and options credit cards make available to you, your family, your business, and more, it’s going to be even more vital than ever before that you focus on achieving and maintaining an excellent credit score and credit history in 2018. If you’re already there, being smart and strategic with the readily-available credit coming your way in the new year and consciously avoiding common traps like overspending should allow you to maintain, and even improve, your credit score this year. If you need to fix your credit score or other issues with your credit history, now is definitely the time to explore professional credit repair services and actively begin working toward managing your money more effectively in the new year. By doing so, you’ll be in the best position to take the most advantage of what looks to be a stellar year for American economic expansion in 2018. This entry was posted in Credit Cards and tagged APR, credit card, Credit Repair, interest. Bookmark the permalink.